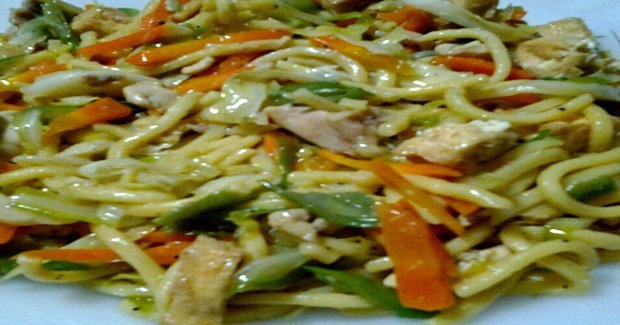 Pancit Miki Recipe - Gutom Na! Posted on Friday, January 6th, 2017 at 4:41 pm. In a large pan, heat oil and saute garlic and onion. Add the sliced chicken breast and cook until slightly browned. Add water and season with salt and pepper. Bring to a boil. Add the carrots and green beans. Once cooked, add the cabbage. Add the miki and cook for a few minutes. Mix well and add the soy sauce and oyster sauce.